I’m a world class mathematician in calculating extra morning-bed minutes. Not so much when it comes to math tests. Haha the way I feel every time I would walk into my College Algebra Class. You are now entering the Unknown. so what is the answer to that math problem? the answer is y, y do i even bother. I can’t help but asking since I’m a math major…what were you asked to do? I think he meant if you were being asked to plot, or differentiate, or solve for x in terms of y, etc etc. 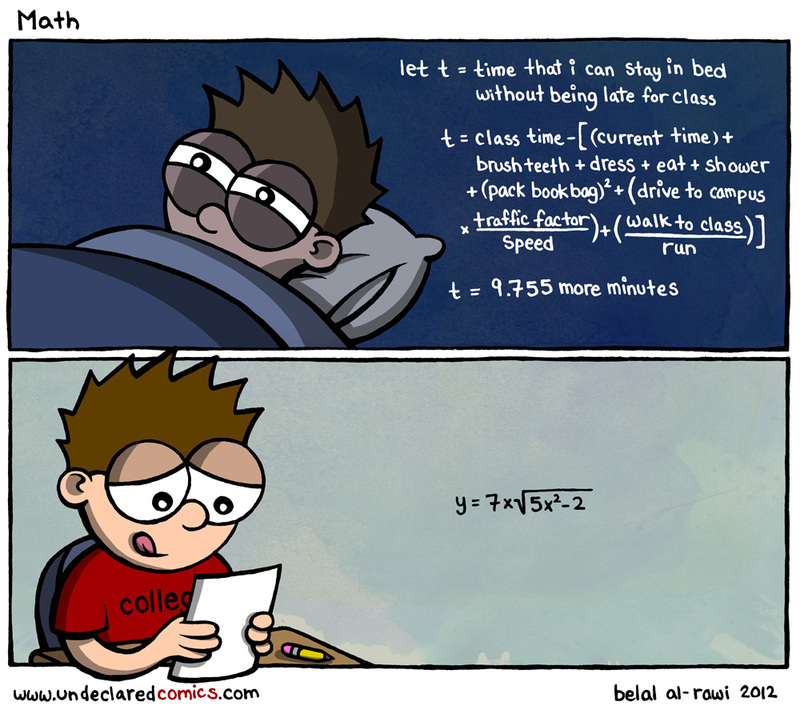 It’s obvious why you are better at bedtime math – no squares and square roots! No mater how many parking lots and garages they build, there are never enough spots.